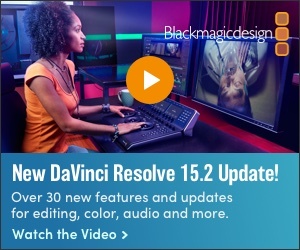 Dalet showcased its new Remote Editing framework in Las Vegas, claimed to bring the full editing capabilities and speed to editors working in the field or at remote offices without requiring a PAM/MAM at every location. The software news, sports and reality TV productions with extensive in-the-field production needs. The Dalet Remote Editing framework connects users to the central content hub, enabling them to edit, assemble, collaborate and submit packages or download high-resolution media to finalize locally even in low-bandwidth situations. The first release will support Dalet OneCut natively with subsequent updates supporting Dalet Xtend-compatible third-party editing applications like Adobe Premiere. The solution leverages the AWS infrastructure and Dalet smart-caching technology. At NAB 2019, Dalet demonstrated how the new editing framework lets journalists working in the field share with the central hub content they’ve captured locally, via a secure HTTPS Internet connection. Simultaneously, they showed how journalists preparing a story while on the go can preview and pull in content from the central catalog or the archive, and mix it with locally captured footage, using a stand-alone editor.